Description: Didjeridu is a sound that feels at home in any soundtrack. It's primal, yet elegant ... providing an aura of excitment that envelopes the listener in a comforting warmth. 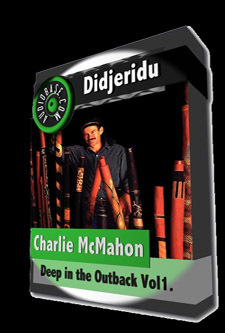 Charlie is a didj master of the highest order - a fact shown in every loop of this collection. From a technical standpoint alone this pack shines: each loop is tagged with tempo AND key ... info you can use to sit these loops perfectly into the mix, every time! Additionally, each loop is provided dry, and also with a lush, dreamy reverb to help you get exactly the sound your after, right out of the box. This loop pack is pure gold ... and for it's amazing variation, production values, and quantity of loops, we assign this pack Tier 1 privledges.